• investigating resilience in the respective human and marine communities. Situated within the Coral Triangle, the Spermonde Archipelago is a set of islands off the south-west corner of Sulawesi, Indonesia. These over 100 islands, their associated coral reefs and the approximately 30,000 inhabitants are located at the interface of one of the largest fisheries of the South-east Asian region. Exports of coral, fish and other invertebrates reach millions of people around the world driving a fishing industry that has developed a highly diverse social-economic-political hierarchy. Likewise, varying fishing targets, techniques and intensities have reshaped marine communities driving dynamic ecological feedbacks in the face of intense coastal urbanisation. There is a need to allocate more energy, time and funds to social-ecological research on coral reef dynamics of the South-east Asian region (e.g. with multi-level GIS analysis), as details of combined effects of environmental changes and resource use as well as trajectories under different management regimes still need to be understood. The influence of changes in marine resources will go far beyond the actual small islands where the resources are exploited. Given the Southeast Asian region’s high biodiversity, human population density and fishing pressure, as well as the regionally differing challenges of environmental change, this Research Topic will link the ecological with the social perspective for an integrative and interdisciplinary analysis of island resource use and management. We invite interdisciplinary papers, case studies, reviews, survey results or conceptual approaches from interested individuals and groups of the projects, universities and institutions involved in research taking place in the region. 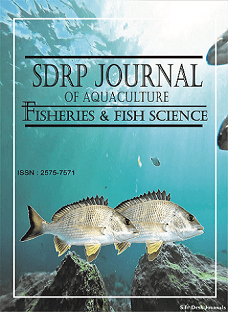 In this way, the Research Topic will enhance the scientific knowledge on small tropical islands under multiple pressures and provide both a unique perspective to managers and institutes, both regionally and globally, looking for relevant or comparative information.